As a record-breaking heat wave continues to scorch Korea, more people are turning to dishes that are believed to help beat the summer heat. 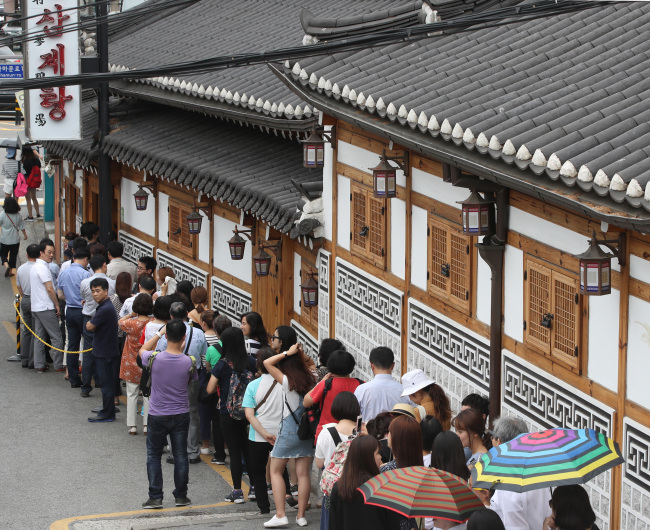 Known as boyangsik, which translates to “invigorating food” in Korea, the strength-building dishes are often served in summer, with people even lining up in front of famous restaurants to enjoy the healthy and tasty dishes. 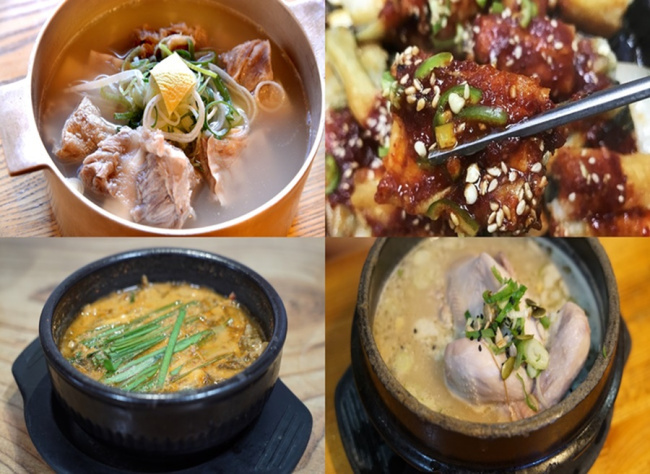 Here are the top five boyangsik dishes selected by The Korea Herald. 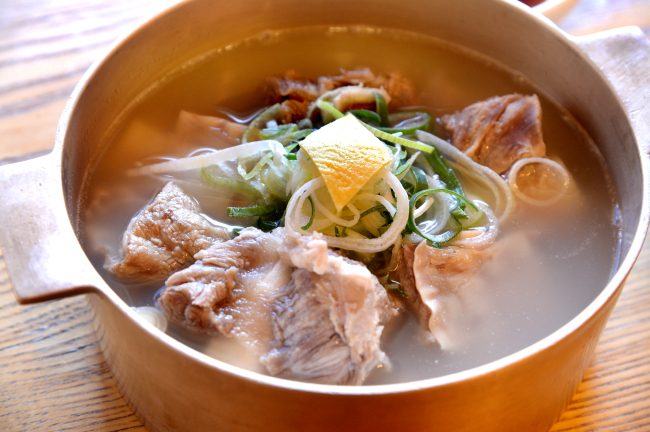 Samgyetang is a relatively well-known Korean dish as it is, but it is also one of the most popular boyangsik dishes in the country. 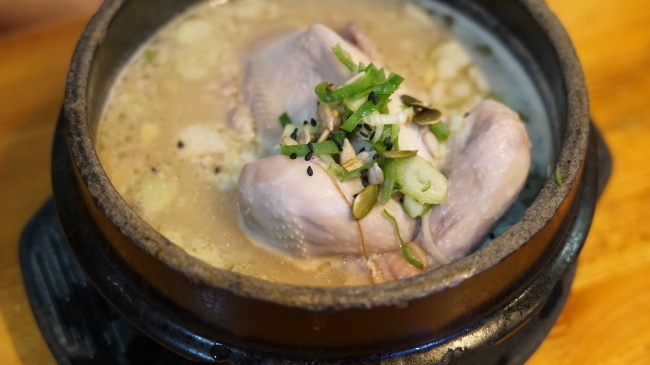 The hot ginseng chicken soup contains various herbs, with ginseng and jujube as the crucial ingredients. 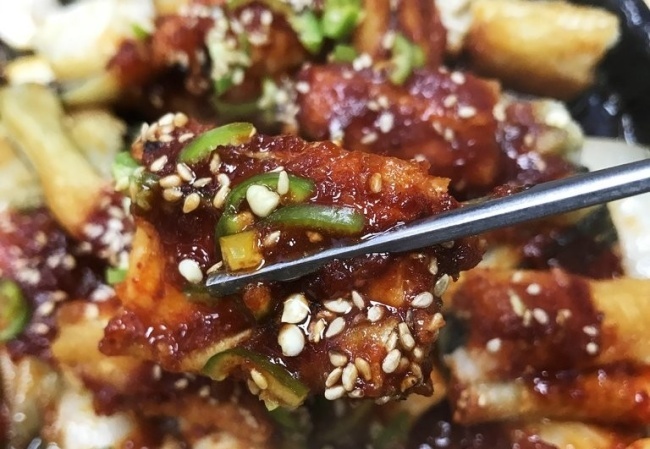 Packing quite the nutritional punch, the dish lives up to the expression in Korea “iyeolchiyeol,” which means “fighting fire with fire,” as many South Koreans believe eating hot food in summer is good for the body. Practitioners of traditional Korean medicine say that temperatures of digestive organs drop as people sweat to lower body temperatures in summer, making people more vulnerable to digestive problems. In addition, advertisements of cold beverages and frozen desserts dominate the media during the season. Against this backdrop, the idea of consciously keeping the body warm in summer and getting the digestive system going has resonated with many Koreans. Grilled eel is one of the go-to summer dishes in Korea. Packed with nutrients and vitamins, the protein powerhouse is described as a great energy booster for everyone across all age groups. Grilled eel has various seasoning options ranging from just salt, gochujang-based sauce to sweet soy sauce, the latter of which is the more popular choice. People who prefer the natural taste of the eel opt for salt seasoning, while those who like a stronger flavor prefer their grilled eel covered in sweet sauces. The healthy and tasty dish is often served with fresh chopped ginger that can help get rid of the bad smells from fish, as well as have antimicrobial effects. To those unfamiliar with the dish, loach soup might sound peculiar. Among Koreans, however, Chueotang is one of the first things to spring to mind when feeling exhausted in sweltering summer heat. The soup traditionally consists of pureed loaches boiled with various vegetables including chives and dried radish greens. Though pureed fish soup might not sound like everyone’s cup of tea at first, it is worth noting that loaches used for chueotang are blended thoroughly to the point that when you taste it, you cannot taste the loaches. Chueotang has a thick texture due to one of its main ingredients, ground loaches, but coupled with perilla powder and soy bean paste, the final product offers a refreshing taste. Though there are regional variations, the Jeolla Province style, which blends loaches with bones and uses perilla powder, is among the most popular. Jeonbokjuk is a Korean-style rice porridge made with abalone. Known as the “wild ginseng of the sea,” abalone is considered a high-quality ingredient in Korean cooking and used to be presented to the king of Korea as a gift, according to historical documents. 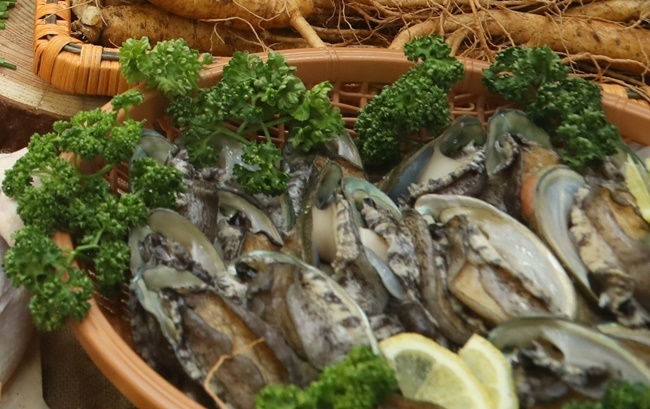 In traditional Korean medicine, abalone is believed to lower body temperatures and to have health benefits, such as reducing headache pain and relieving bloodshot eyes. 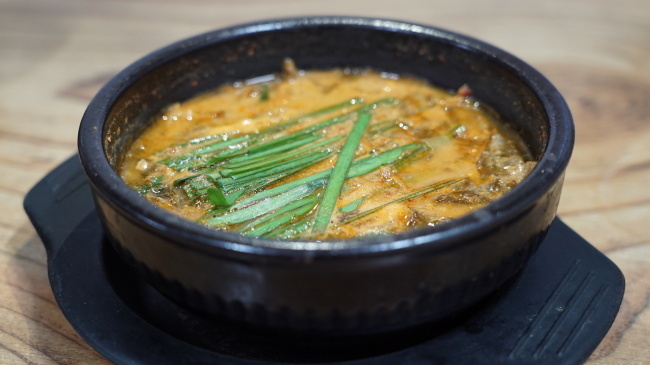 Given its positive reputation, many Koreans think of jeonbokjuk as their go-to energy boosting dish in summer. The seafood-based white rice porridge has a clean and refreshing taste. Wando County is one of the largest producers of the pricey seafood in the country. High in protein and full of healthy ingredients, the popular dish often served at Korean weddings also makes great boyangsik. Galbitang varies widely in terms of both style and price, but usually the higher the price, the more healthy ingredients your Galbitang will be served with, for instance, ginseng, pine nuts and jujube. Nutrients found in the dish include essential amino acids, minerals and vitamins. According to “Dongui Bogam Exemplar of Korean Medicine),” a famous book on traditional Korean medicine, galbi, the Korean word for rib, is believed to strengthen bones. For this reason, galbitang is often popular with elderly people or soldiers.